Eco Driveway Cleaning are a local, independently owned company owned and operated by Craig Greig. Our aim is to provide the highest standards of Professional Pressure Washing services throughout Glasgow, Bearsden, Clydebank, East Kilbride and Hamilton. Eco Driveway Cleaning have earned a reputation for its expertise and for delivering a reliable, friendly, professional service. 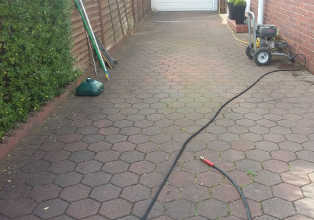 Your outdoor space deserves to look it’s best – Eco Driveway Cleaning can help maintain your driveway, patio or decking. Helping you to enjoy your outdoor environment to its fullest without the mess and time involved. Putting you the customer 1st we hope to bring your outdoor surfaces back to life. Let us restore your driveway to it’s best. 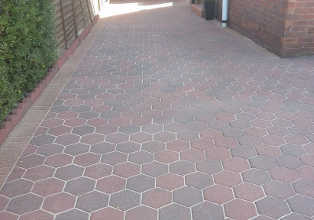 You will be amazed at the difference not only to the driveway but the overall improvement to the look of your property. Like all outdoor spaces your patio is a great addition to your property. Get it restored to its former glory, get the patio furniture in place and enjoy your summer outdoors. 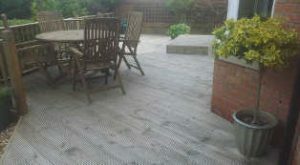 Remember when your decking was newly built? 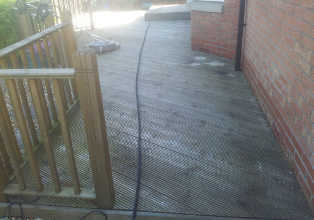 Well let us restore your decking back to it’s best. Make the most of your outdoor space this year and enjoy the sun when it arrives. GET YOUR DRIVEWAY LOOKING GREAT THIS YEAR AND MAKE THE MOST OF YOUR PATIO AND DECKING WHEN THE SUMMER ARRIVES. 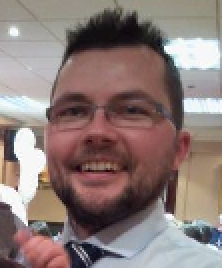 Craig will personally attend every job and quotation. Whether it’s a large monoblock driveway clean or a small back garden patio you require cleaning. We strive for excellence and your complete satisfaction, with Craig in attendance at every job ensures standards are met. Should you wish to discuss anything regards the job in hand or anything else then Craig will be there to answer your queries. The main reason Eco Driveway Cleaning has been so successful is due to the repeat custom and positive word of mouth from our customers. We take extra time to pay attention to detail and respond to customers’ needs quickly and efficiently. Need to speak to the owner? No problem. 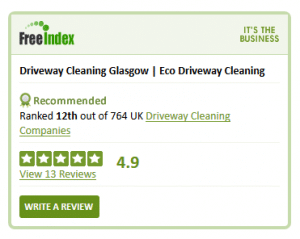 Driveway Cleaning Glasgow from Eco Driveway Cleaning. We offer a professional Pressure Washing Service in Glasgow and surrounding areas. 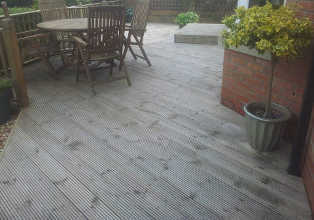 We Provide other services such as monoblock cleaning, patio cleaning and decking cleaning. 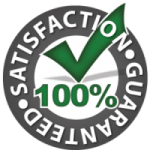 Our amazing Driveway Cleaning Service which covers Glasgow and the surrounding areas carry this 100% Total Satisfaction Guarantee. If you are not 100% happy with our service, we shall return and happily re-clean any area free of charge. This covers all our core services including driveway cleaning, monoblock cleaning and patio cleaning. If you are still not satisfied, we won’t accept your payment and your cleaning will be FREE! We have invested in the most advanced pressure washing equipment. 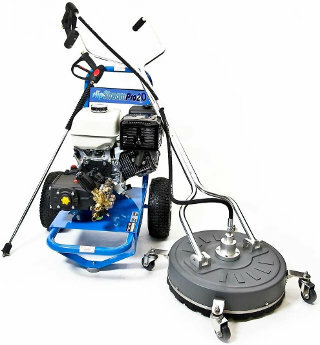 Using powerful petrol pressure washers, flat surface cleaners and various other professional tools available on the market. We are able to beautifully clean and restore all your outdoor surfaces. Removing of the dirt, mud and weeds, restoring your outdoor spaces to a more pleasant, clean, bright area were you are happy to spend time. Our system is eco-friendly, we only use water under high pressure, meaning no need to worry about your plants, pets or children. In extreme situations were chemicals may be required we will discuss this with you to explore the options best suited to your requirements. 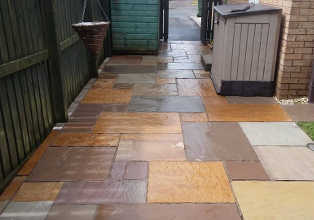 It is also guaranteed to leave your driveway, patio or decking Fresh, Clean and Bright. Also we never forget that you have a choice when it comes to picking a pressure washing company, so we work tirelessly to ensure that Eco Driveway Cleaning are the best possible option for your needs. 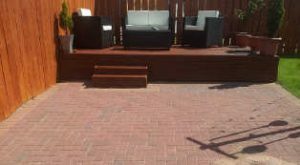 If you have a question about any of your outdoor spaces and how we can restore them send us a message 7 days a week or call on 0141 255 1070 during opening hours. Your outdoor spaces need just as much if not a little more maintenance than your indoor space, mainly due to our varied weather. Your driveway, patio and decking will no doubt become dirty, covered in weeds, moss and mud. Remember what it looked like when it was first installed? You’ll be amazed at the difference a clean with proper equipment can achieve. Using our top of the range industrial equipment means we can help restore your outdoors spaces so they can be enjoyed to their fullest. We can do this without the need of chemicals in most instances. 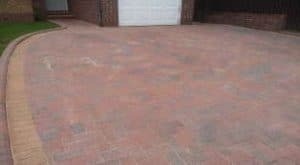 We have the methods that will restore your driveway, monoblock, or patio at a fraction of its initial installation cost. To have your property restored can also benefit you financially when you sell your home. It can help you move your property on as buyers can see the outdoor space at its best due to the improved look of the exterior. We like to take pride in our work and are dedicated to keeping high standards. We hope you can have use from our service and look forward to hearing from you soon. We can be contacted anytime 7 days a week to arrange a free no obligation quote. 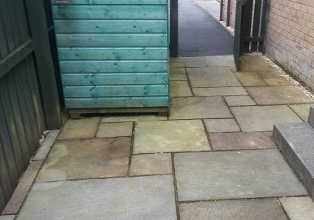 Just had patios and paths cleaned by Craig. A fantastic job done, would highly recommend. Had our driveway and slabs cleaned at the front of our house. Fantastic job done by Craig, very pleased. Very reasonable, would definitely recommend! To see more testimonials from our customers visit our testimonials page. Got a question about any of our services? Or perhaps you want to arrange a FREE quote? Fill in the quick simple form below and we will get back to you. Window Cleaners Wrexham – adcleaningservices, professional window cleaning services in Wrexham. Monoblock without weeds moss and dirt can look great. Let us restore your monoblock with our rotary cleaner, once re-sanded it will look great again.